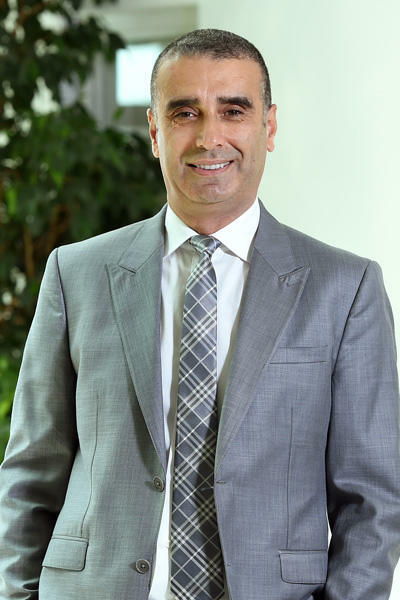 Dr. Imad Btaiche was appointed Dean of the School of Pharmacy in September 2015. He joined LAU in October 2011. Dr. Btaiche came from the University of Michigan where he was Clinical Associate Professor at the College of Pharmacy, and Clinical Pharmacist and Program Director of the Critical Care Specialty Residency at the University of Michigan Hospitals and Health Centers (UMHHC), Ann Arbor. At Michigan, Dr. Btaiche was also the Nutrition Support team leader at UMHHC and a clinician team member of the Children’s Intestinal Rehabilitation Program in the Department of Pediatrics and Pediatric Surgery. He also served on the Executive Committee and Leadership Group at the College of Pharmacy. Dr. Btaiche is a former president and member of the Board of Directors at the Michigan Society for Parenteral and Enteral Nutrition (MSPEN). He was also secretary and treasurer of the Pharmacy Practice Section of the American Society for Parenteral and Enteral Nutrition (A.S.P.E.N. ), one of the editors of the UMHHC Parenteral and Enteral Nutrition Manual eighth and ninth editions, and has served on the editorial boards of the Journal of Parenteral and Enteral Nutrition (JPEN) and Nutrition in Clinical Practice (NCP) journal. Dr. Btaiche is a Board Certified Nutrition Support Pharmacist (BCNSP) and has received the Teaching Appreciation Award from the University of Michigan College of Pharmacy P2 Class in 2011 and the Stanley Serlick Award for Safe Practices in Parenteral Nutrition, co-sponsored by A.S.P.E.N. and Hospira in 2010, among other honors and awards. His primary scholarly interest is nutrition support in critical care and intestinal failure. Dr. Btaiche earned his Pharm.D. from the Faculty of Pharmacy of the Lebanese University, where he also received his B.S. in Pharmacy. He completed his Pharmacy Practice Residency at the University of Michigan, Ann Arbor, in the United States of America.